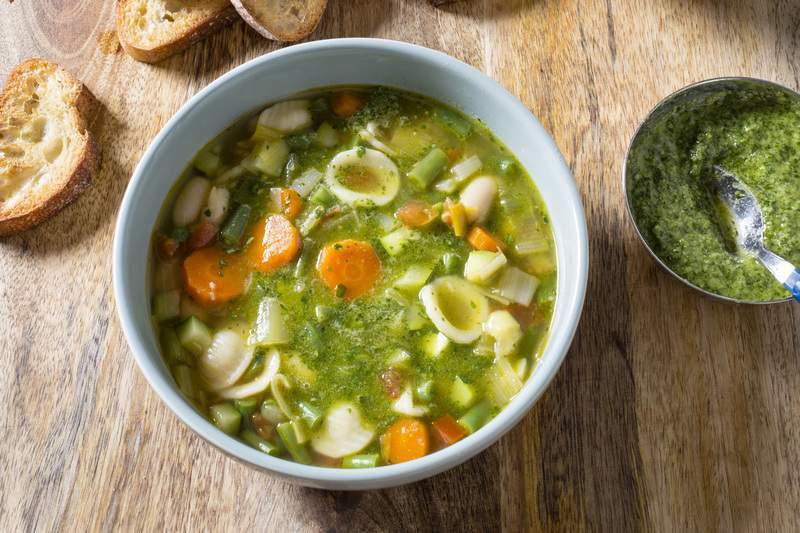 America's Test Kitchen Provencal Vegetable Soup uses seasonal vegetables to provide fresh flavors. Stir in pasta and simmer until slightly softened, about 5 minutes. Stir in haricots verts and simmer until bright green but still crunchy, about 3 minutes. Stir in cannellini beans, zucchini, and tomato and simmer until pasta and vegetables are tender, about 3 minutes. Season with salt and pepper to taste. Serve, topping individual portions with pistou. Makes 6 servings.